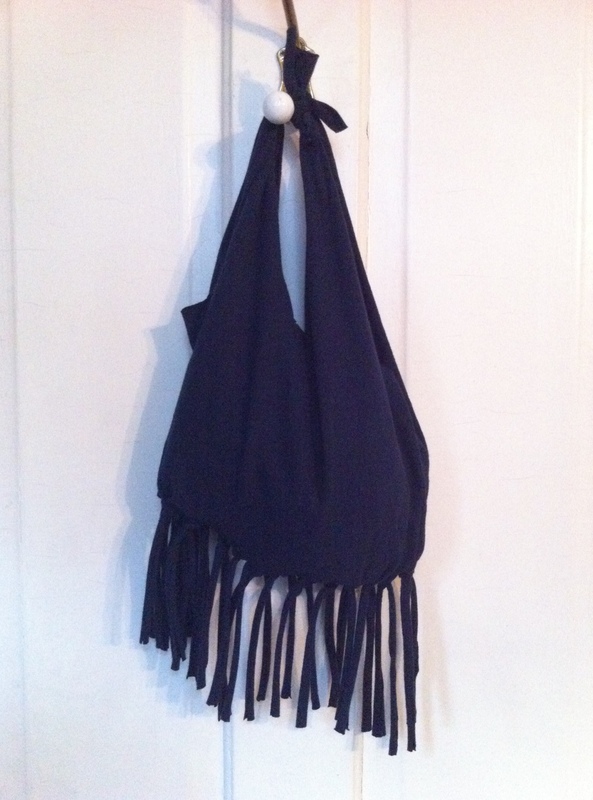 Click here to make this no-sew fringe bag from Tealou and Sweetpea. On a rainy weekend, nothing is more comfortable than sitting around at home in your favorite T-shirt and jeans. If you’re like us, kid makers, you may have a whole collection of clothes that you don’t wear but dont’ want to throw out … especially favorite t-shirts. Whether you outgrew it, it’s stained or it’s just last year’s style, we have the perfect upcycling fix: BAGS! We all carry a lot of things this time of year, like a book bags for school, grocery bags for apple picking, and of course, trick-or-treat bags for Halloween! Grab your oldest summer tee and start making. Not confident in your stitches? Check out these no-sew fringe bag instructions from Tealou & Sweetpea. We love the great photos for this grocery bag how to from Between the Lines – and that it was inspired by those crazy bags grapes come in. This t-shirt backpack from Instructables is perfect for gym class. 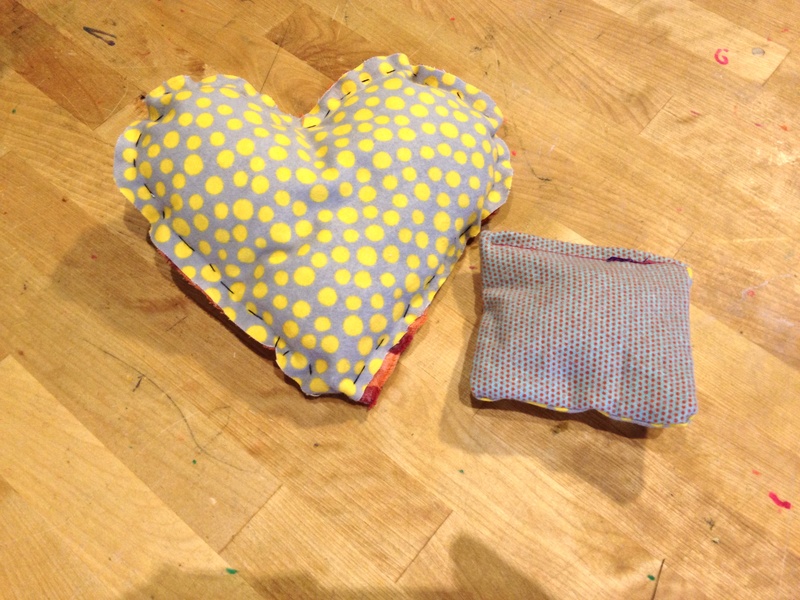 T-shirt bags are a great example of one of kid-makers favorite types of making: UPCYCLING! What is “upcycling”? We hunted the internet for the coolest Glow in the Dark Projects for kid-makers just like you! 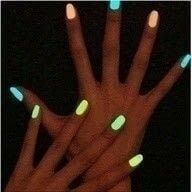 Click here for Glow in the Dark Nail Polish instructions from Cut Out + Keep! Plus, check out this collection of other glowing project ideas by About.com’s Chemistry team. Why do these materials glow? Kid-makers, we know you like redesigning things to suit your own style … AND you love to be good to the earth. Check out these simple instructions for how to create your own custom sandals from the soles of old or broken flip flops! Click here to braid your own flip flop straps! DIY Sandals from BurdaStyle: We love these great photos and step-by-steps for making new straps. Keep scrolling for a 2nd lesson in Friendship Bracelet flip flops! Sandals from an old t-shirt from Etsy’s How-Tuesday blog: What can’t you make out of an old t-shirt?! “Knot So Hard” (get it?) fabric flip flops from The Mother Huddle: These are super cute, girl makers! Braided strap sandals by make it and love it: If you know how to braid, you can make these very simply. Kid-makers, do you want to make an awesome gift for a girl or boy you know? Something that looks tough (but is really kind of easy)? Our newest video will show YOU have to make one-of-a-kind necklaces, bracelets, keychains and more from things you have in your garage, basement or toolbox. Find some hex nuts, washers or any other hardware with a hole in the center. Find some string, twine, rope or ribbon. Then watch this video to learn how to braid it all together into seriously tough jewelry you made yourself. Maker Rebecca shows you how! Stay calm and make on. T-shirt Flower Ring – Click here to learn how from Homemade Ginger! Somewhere in the back of your drawers, kid-makers, is an old t-shirt just waiting for you to make an awesome Mother’s Day gift out of it. Surprised? Makers enjoy upcycling tees because the jersey knit doesn’t need to be hemmed, so you can make tons of projects without even needing to sew!